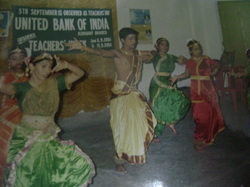 I DID MY FIRST STAGE PERFORMANCE IN SCHOOL THE PROGRAM WAS SPONSORED BY UNITED BANK ON TEACHERS DAY , I PERFORMED TODYAM (BHARATNATYAM) WITH MY SCHOOL FRIENDS. PICTURE OF THE SAME PROGRAM. (WITH ME - IRAVATI,MADHUPORNA,MOUMITA,NIKITA& OTHERS). IT WAS MY FIRST PROFESSIONAL SHOW. WITH ME - SHANU DEBNATH (BORO BABAI AS WE HAVE SAME NICK NAME). 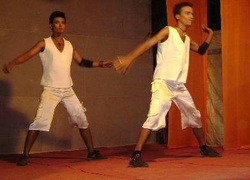 CHOREOGRAPHER : MANAS MONDAL (MY UNCLE & MY GURU). 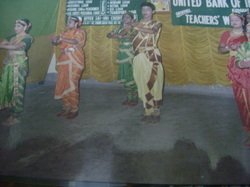 ME AND MY FRIENDS PERFOMING IN A BOLLYWOOD SONG IN NIRANJAN SADHAN BIJOYGARH (KOLKATA).